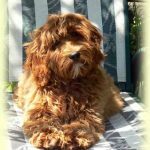 Are Australian Labradoodles Good Family Dogs? 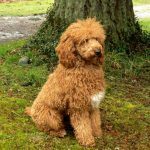 Copper Canyon of Chemainus, British Columbia, is known for breeding exceptional quality non-shedding Australian Labradoodle puppies. 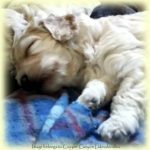 Located on the east coast of southern Vancouver Island, Copper Canyon Labradoodles has provided many families with puppies to make their home whole. 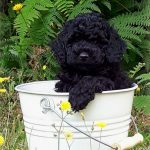 For those who are unfamiliar with Labradoodles– these adorable dogs are very intelligent and easy to train. Moreover, since their coats don’t shed, they’re allergy friendly. 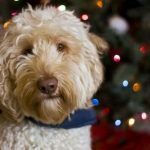 Are Australian Labradoodles great family dogs? They certainly are– their temperament is friendly, loving and smart. How they interact with people as well as other dogs make them ideal pets. What are some adjectives used to describe Australian Labradoodles? How about comical, affectionate, and intelligent? If they were a person, they’d be the ideal boyfriend or girlfriend! Known as affable, obedient and loyal, Australian Labradoodles make great companions. Australian Labradoodles are easy to work with– they like to learn and they’re easily teachable. Rather than fight you on everything, these dogs want to get along well with you and do what they’re told. They’re social creatures who love to play and have fun. With an affinity for water, expect your pet Labradoodle to have a strong swimming ability. Put them in the pool with the little ones and it’s a party! Kids love them (and they love kids)– it seems like these highly intelligent animals are endlessly optimistic. 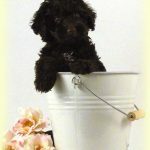 Is it possible for a pet dog to display intuition about their handler’s emotional state and needs? Yes, and that’s what Australian Labs are capable of– so they’re especially good with individuals with special needs. Labradoodles are not only popular family dogs, but they’re also used as guide, assistance and therapy dogs. Is it any wonder some people prefer the company of dogs rather than people? Man’s best friend offers unconditional love and puts smiles on people’s faces. If you would like to know more about our Australian Labradoodles, you’re welcome to be in touch with us at 877-850-2022 or email dogs@coppercanyonlabradoodles.com. What Do Dogs Teach Us About Life?